The symbol of a crescent moon with a star is an ancient one. Dating all the way back to early Palestine in the 13th century B.C., the star was a reference to Venus and the moon sliver was considered the symbol of the moon God, Sin. 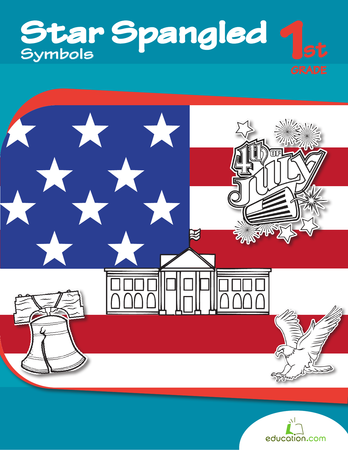 As time advanced, the meaning behind this symbol on flags began to change. 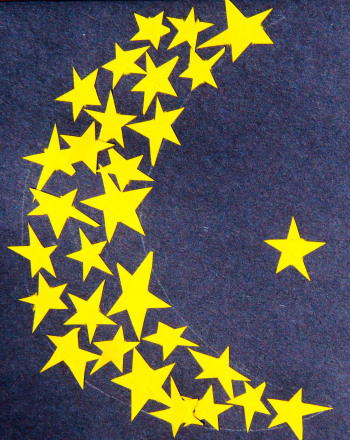 During the 1950s, the crescent moon and star was reinterpreted to become symbolic of Islam, or the Muslim community. The crescent moon is also important to the month of Ramadan itself, as the sighting of a crescent moon marks the beginning and ending of the religious observance. 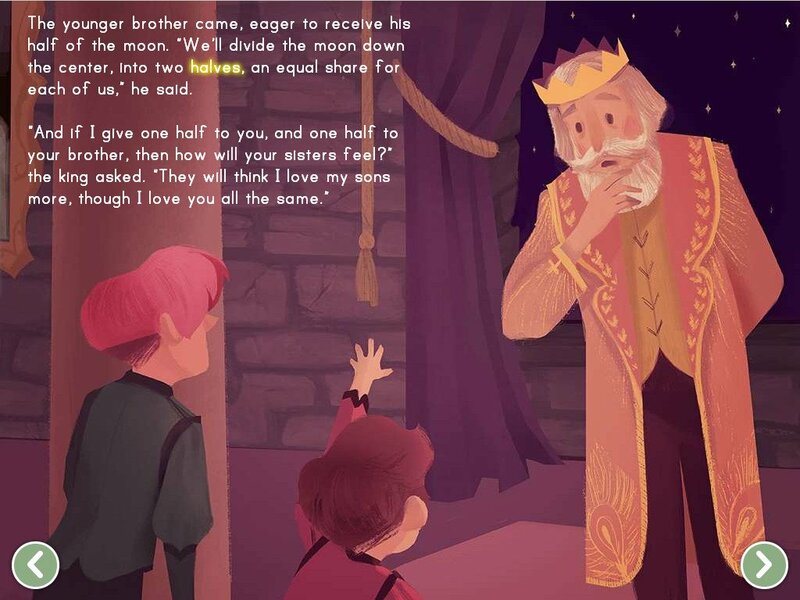 Your child can celebrate Ramadan or simply learn more about symbolism by creating his own crescent moon and star. Does your child know about the mesmerizing movements of our moon and how it tells us when Ramadan begins? Explain that the moon goes through phases and that the crescent moon appears as a sliver at the start of a new moon phase. A waxing crescent moon comes right before a full moon, and a waning crescent signals that the moon will soon disappear before reappearing in a new moon phase. The waning crescent phase is important as it marks the beginning of Ramadan. Have your child draw a large crescent moon in pencil onto black construction paper. Ask him to draw it as large as possible. Encourage him to draw stars using a pencil on the yellow paper. He can draw as many stars in different sizes as he can fit on the page. Have him carefully cut out each star using a pair of scissors. Arrange the stars inside his pencil drawing of the moon and glue them in place. Arrange and glue the last star outside of the moon off on the side as shown in the image. This signifies either the planet Venus or completes the symbol of Islam. Color in this star mask and get ready for a sweet masquerade party on New Year's Eve. Coloring this stained glass star is a fun way to learn about Christmas traditions and it makes for an attractive homemade Christmas decoration. If your child's hopes and dreams for the future involve the silver screen, inspire her with this movie star paper doll. This two-page printable features the Star of David card design in festive blue, or in black and white to add your own color to. 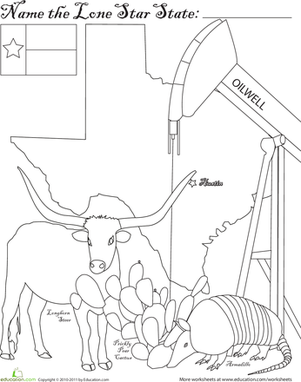 With coloring, fun activities and facts, kids can embrace their American heritage. 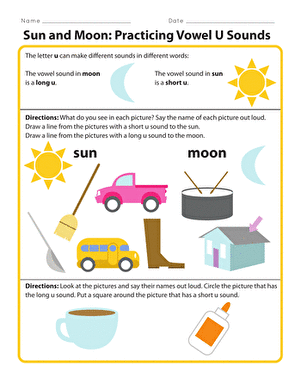 This worksheet will help your first grader understand the difference between long and short u sounds.